James Allen True Hearts Review - Are they the best diamonds online? This article will explore the True Hearts™ collection, offered exclusively by James Allen. I will be covering the specifications for a True Hearts™ diamond, overall quality and performance, and value for money. If you would like a more in-depth look at the services and history of the brand, you can find my full review of James Allen here. James Allen are an online diamond and jewelry retailer. While other brands may push a particular focus towards a ‘unique’ or exclusive cut (see Whiteflash’s A CUT ABOVE®), James Allen drive their attention towards a more general approach to jewelry, offering loose colored gemstones alongside their extensive jewelry collection and loose, colorless diamond inventory. That said, James Allen promise a ‘nice selection of Ideal Cuts’ in their True Hearts™ collection, describing them as ‘the ultimate expression of love’. The tagline plays well with their overall marketing approach, which has emphasis on the emotional experience of diamond buying. But is the romance that James Allen perpetuates backed up by quality? Let’s take a look. It is tricky to find any outlined specifications of a True Hearts™ diamond on the James Allen website. The name suggests an Ideal Cut, for that is a minimum requirement when looking for Hearts and Arrows optical symmetry, but an Ideal Cut does not always result in a true Hearts and Arrows diamond. The lack of official data and specific proportions means the transition from Ideal Cut to True Hearts™ is somewhat a grey area. As I cannot test this against any True Hearts™ guidelines, we must look at the diamonds themselves to assess to the true quality. James Allen offer a Hearts view for their diamonds. Above is a random selection of four True Hearts™ stones. It cannot be argued that these are not impressive diamonds; each displays a pleasing pattern that demonstrates the basic Hearts and Arrows formation. However, an expert eye cannot deem any of these images to be representative of a true Hearts and Arrows diamond. A Hearts and Arrows diamond must be perfectly symmetrical in both shape and spacing on all sides. Although at a first glance the images seem relatively symmetrical, a closer inspection shows deviation in distance and formation. In fact, not a single one of these stones would be considered a true Hearts and Arrows diamond. ‘Our exclusive Diamond Display TechnologyTM lets you see any True HeartsTM diamond magnified in 360° so you can see exactly what you are getting. The Hearts viewer is of course helpful when looking at a diamond, however unless you are a gemologist or diamond expert, it is unlikely a buyer would notice the small deviations that prevent the stones from being deemed and true Hearts and Arrows diamond. The onus falls upon the buyer to read between the lines and heavily research hearts and arrows formation, in order to make an informed decision when buying from James Allen. Identifying the difference between a Hearts and Arrows diamond, and a near Hearts and Arrows diamond can seem like a complex task. 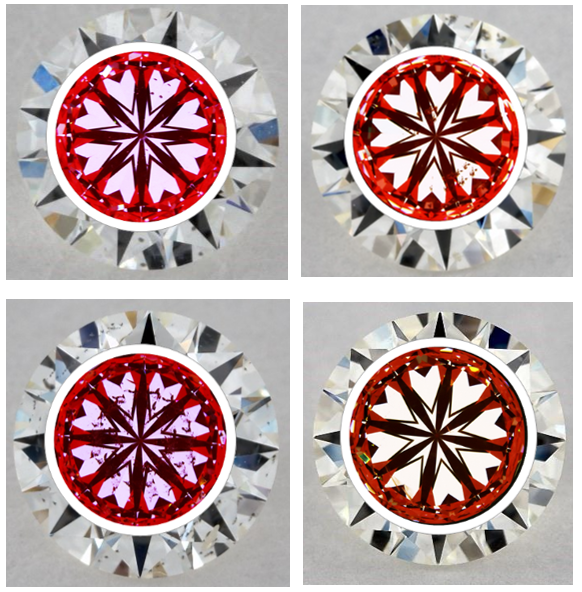 However, in order to give you the best chance of determining these differences for yourself, I have compared a random selection of True Hearts™ diamonds. These small and simple tips help the concept of a Hearts and Arrows diamond become a little clearer. It is important to recognize the beauty of James Allen diamonds in their own right. The small deviations I have identified, would not be noticeable to the naked eye, and would not detract from the overall finish of the diamond. However if you are looking for the highest quality hearts and arrows diamonds, true clarity and outlined specifications, I would recommend Whiteflash A CUT ABOVE® diamonds. In order to assess whether James Allen, True Hearts™ collection offers good value for money requires me to keep in mind the fact that of the selection of stones I have assessed, not one has been a true Hearts and Arrows diamond though. 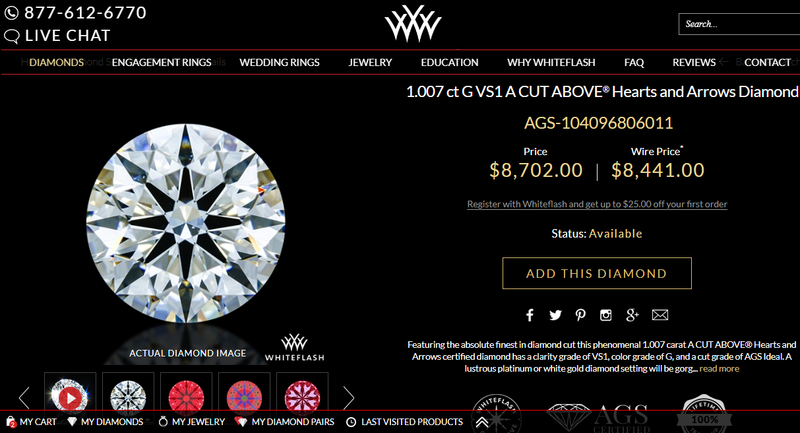 It would make more sense to consider the prices as those of near Hearts and Arrows diamonds. However, as James Allen drive huge focus towards the Hearts and Arrows promise, I will compare them with a competitor offering exactly that. 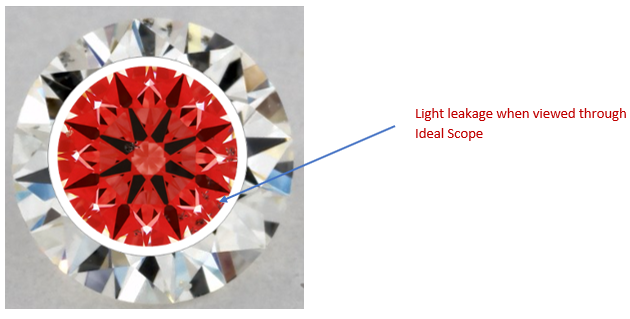 I have compared the James Allen, True Hearts™ diamond, with a leading competitor that is renowned for the cut quality of their diamonds – Whiteflash. As you can see, the True Hearts™ diamond comes in $588 more expensive than the A CUT ABOVE® stone. But what does this mean? A more in-depth look can give us more information about the cut of the diamond itself. Below is a table of the Ideal cutting proportions for a round brilliant stone. Important note: An Ideal Cut diamond does not indicate that it is a Hearts and Arrows diamond. This comparison is for a more detailed look at the selection of diamonds we are assessing. 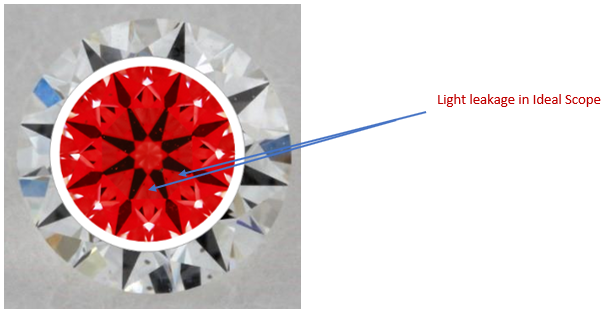 As you can see, both of the diamonds perform extremely well when set against the Ideal Cut proportions, with each falling perfectly within the outlined specifications. With these figures in mind, it can be said that James Allen certainly offer beautiful diamonds. They do, however, fall short on their promise of a true Hearts and Arrows cut. Although there are other areas (such as exact specifications for a True Hearts™ diamond), which are a little unclear, James Allen offer every necessary detail when looking as a specific diamond. Other retailers, such as Hearts on Fire, do not offer this information to the buyer. Their confidence in their quality is supported by the evidence shown in their diamond reports, which demonstrate desirable proportions and an impressive finish. If you are looking for a near Hearts and Arrows diamond, then James Allen would be a strong choice, although their cloak and dagger approach to their specifications means you will be required to do your homework. If you want a true Hearts and Arrows Diamond, you’re better off considering Whiteflash, in most occasions their diamonds will be priced higher, but the small premium is worth every penny! Overall, James Allen offer an impressive service. Are their True Hearts™ diamonds ‘perfect’ as their website claims? No, in fact most would not be considered a true Hearts and Arrows diamond. However, as the deviations from the Hearts and Arrows proportions are not visible to the naked eye, it is possible to set aside this hint of false advertising, and appreciate the extremely high quality of the diamonds themselves. 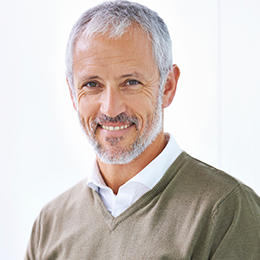 If you are looking for true clarity and outlined specifications, I would recommend Whiteflash A CUT ABOVE® diamonds. James Allen are reasonably priced, provided you take the time to examine the details and understand what you are really getting for your money. They provide exceptional details for each individual diamond, and the opportunity to view them as accurately as possible. Having confidence in an important purchase like a diamond or engagement ring is more than expecting a high quality product at a competitive price – I suggest taking a look at my guide on which company has the best Trade-Up or Upgrade Guarantee before making a purchase.